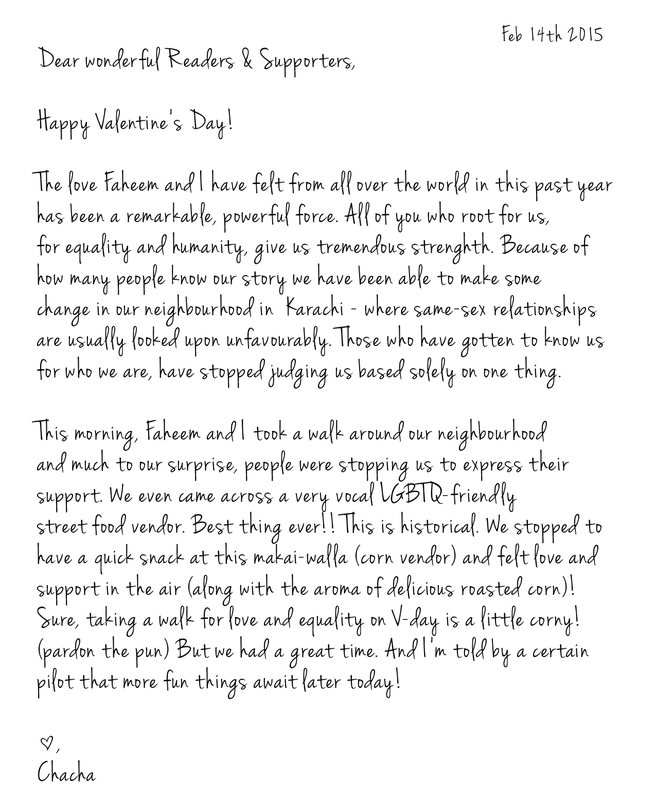 Nice Mangos: Happy Valentine's Day from Chacha & Faheem! 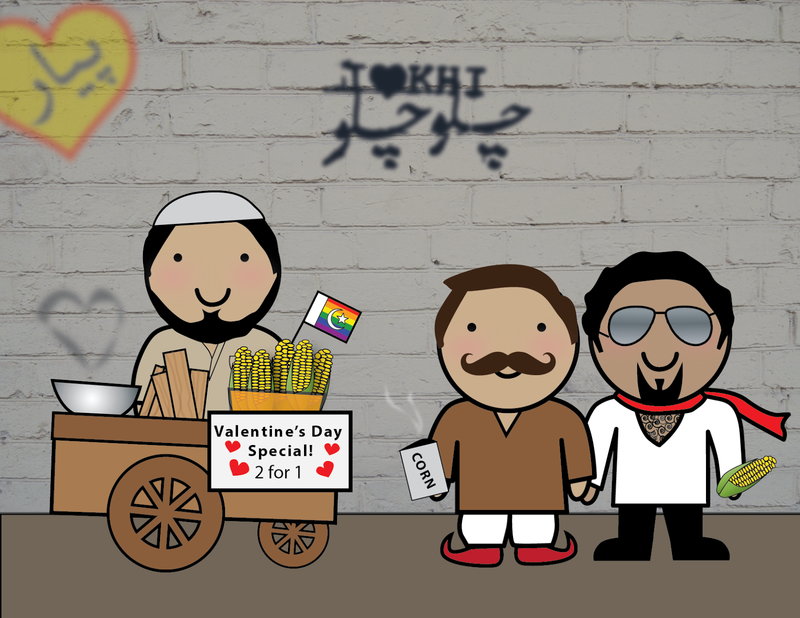 Happy Valentine's Day from Chacha & Faheem! I'm not a huge fan of Valentine's Day myself... but I sure do love seeing Chacha and Faheem being in love! I received a letter and a photo from him today, that he wanted me to pass on to all the wonderful folks who have supported the immense struggle it is to be Pakistani and not fit the very narrow mould set out for us. All copies purchased on Valentine's day will be signed with a 'Happy Valentine's Day' note from the author! My Chacha is Gay : It's been a whole YEAR!! Spicy Nihari & Fingerbanging. Not a good Mix.